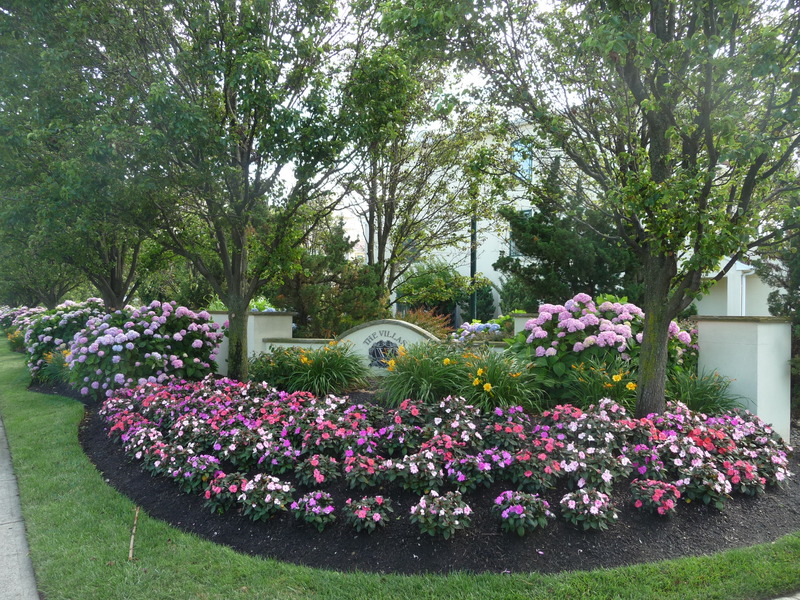 The abundance of flowers and flowering shrubs are just one of the reasons The Villas are popular. 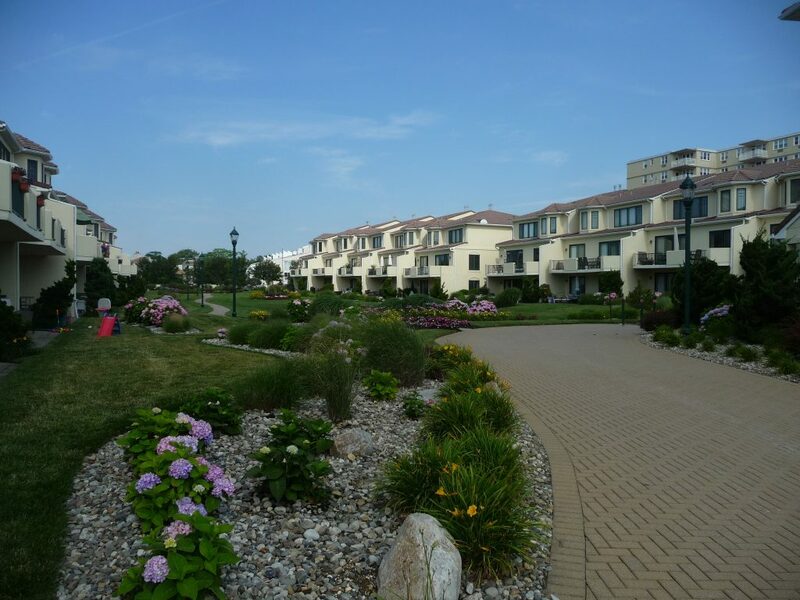 The Villas at Harbor Island is an upscale 55 home pet-friendly condominium community located on the Long Branch beachfront in the West End section of town. Built in the late 1990's, there are two basic floor plans, one being the Elberon and the other being the Deal. The Elberon is approximately 1800 square feet plus a basement and the Deal is larger at almost 2600 square feet but without a basement, according to tax records. 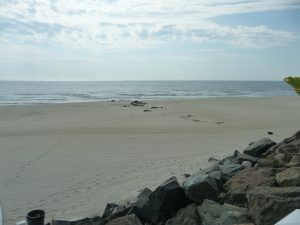 A number of the homes face directly on the ocean and quite a few more have ocean views. 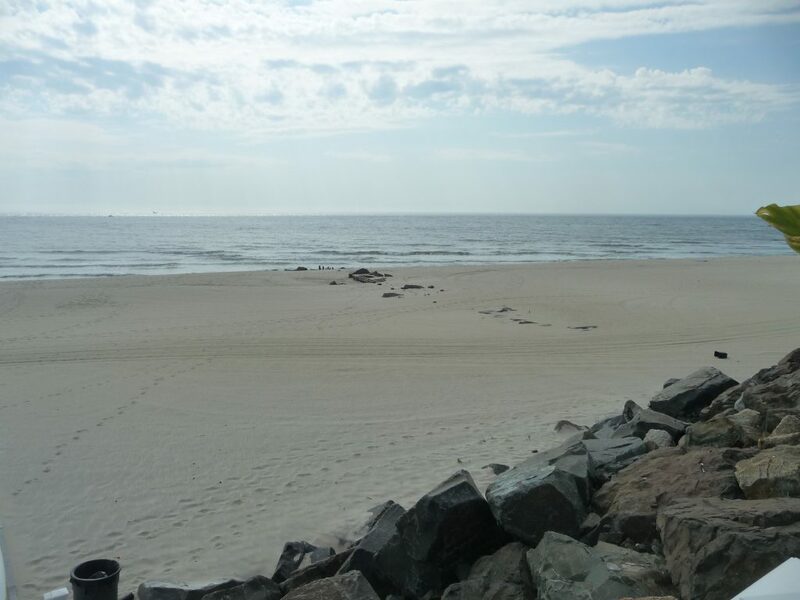 The community has direct access to their own lifeguard protected beach with beach chair service for all residents and there is also a pool on-site overlooking the ocean. 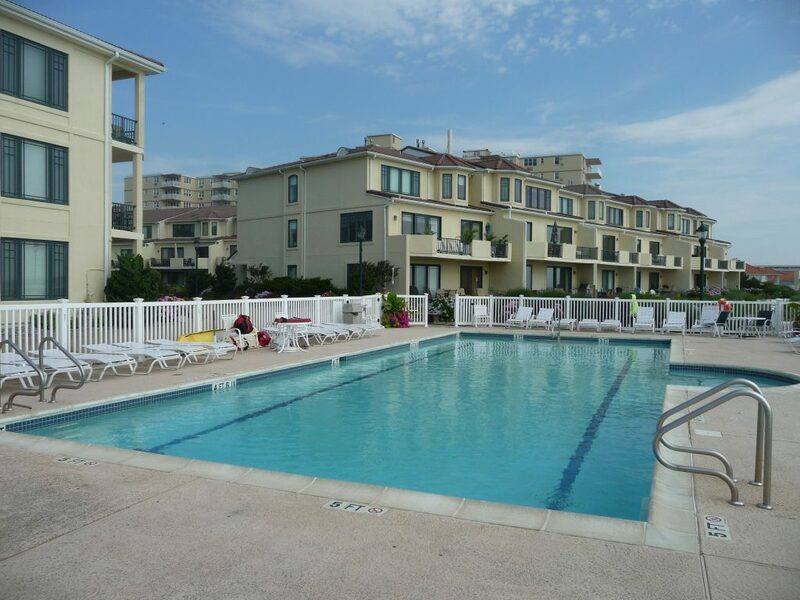 Among the amenities at The Villas at Harbor Island is this oceanside pool. The grounds at the Villas at Harbor Island are impeccably manicured giving the community a resort feel. 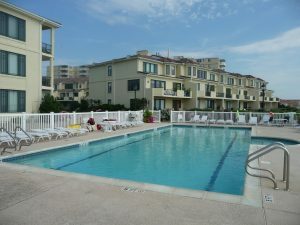 The Villas at Harbor Island has its own lifeguard protected beach with beach chairs for the residents.